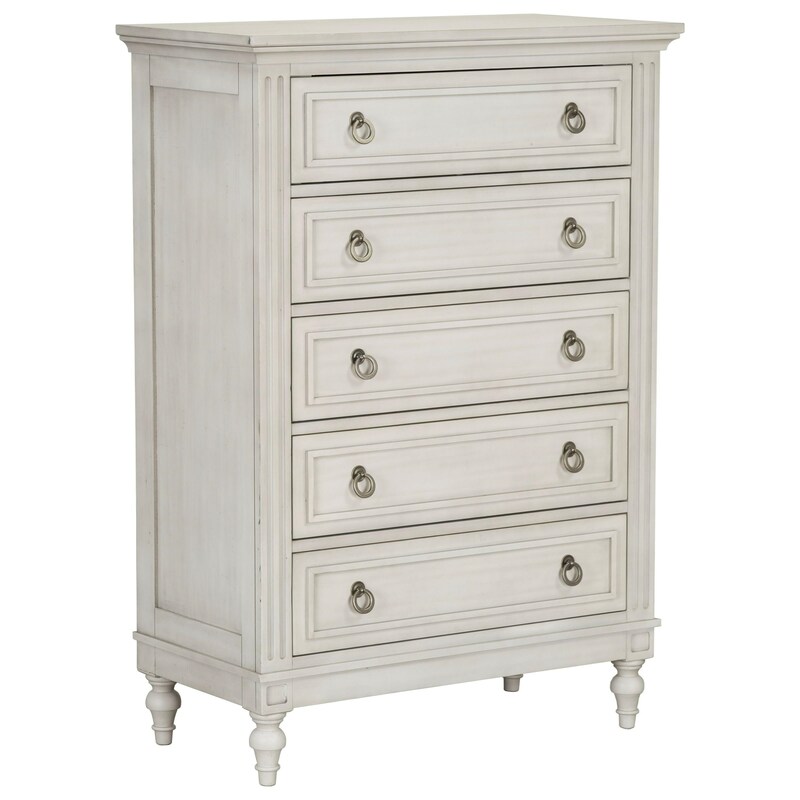 Traditional design elements such as crown molding, fluted pilasters, and bun feet create a timeless chest. With a relatively small footprint and five drawers for storage, making this chest offers an excellent option for a small scale room. The Sarah Traditional Drawer Chest by Standard Furniture at Miskelly Furniture in the Jackson, Pearl, Madison, Ridgeland, Flowood Mississippi area. Product availability may vary. Contact us for the most current availability on this product.